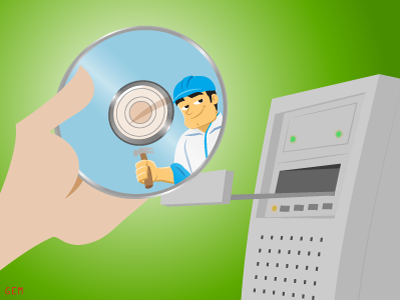 How do I Make a Windows Recovery Disc? Put the blank disc in when it asks, and follow the instructions. When you need the disc, just boot from it using the boot options function key that flashes on your screen when you start your PC, and you’ll be able to repair Windows if something went wrong.